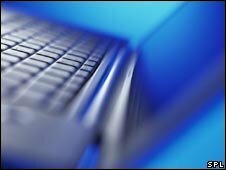 A laptop containing bank account details of 75,000 Irish gas board customers, has been stolen in Dublin. The theft took place almost two weeks ago, but was not publicised until Wednesday because police were following "a particular line of inquiry". The confidential information was not encrypted and was on one of four stolen laptops taken from Bord Gáis offices and nearby buildings on 5 June. Bord Gáis said it will contact affected customers next week. The company added that police and the Irish Data Protection Commissioner were immediately informed. Bord Gáis, which has recently entered the electricity market, has attracted significant numbers of new customers who have changed their supplier. The National Consumer Agency has described the lack of encryption as "unacceptable and a poor reflection on Irish business".